Italian transfer guru Gianluca Di Marzio believes Manchester United could be about to sign a new defender. According to his understanding, the Red Devils have met with the agent of Greek defender Kostas Manolas ahead of a possible €40m move from Roma. The Red Devils are very interested, it appears that they have already contacted Manolas’ entourage during the weekend of May 14th. Roma is asking for €40 million to sell him, a sum that Manchester United would be willing to pay to grant their new coach’s wish. There is a technical issue to overcome, however. The Football Leaks website have previously revealed that Roma paid €6.5m for 50 per cent of Manolas’ economic rights in 2014, and they are obliged to buy the remaining 50 per cent for another €6.5m if he is not sold before September 1, 2016. The idea is floated that United will structure a deal to loan Manolas until that date, completing a permanent deal on September 2. The truth is, however, that claims Manolas could move to Manchester aren’t that new. Back in April, a tiny report on the RomaNews.eu website has set off alarm bells for Manchester United fans. Written in Italian, the article was 46 words long, and it contained no quotes. And yet, in those 46 words readers were told that Manchester United representatives had held a meeting with the agent of Kostas Manolas. 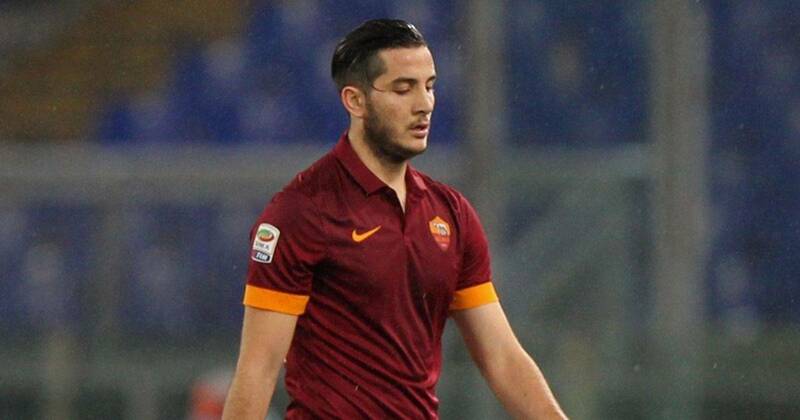 Moreover, the article noted that Manolas was a former target for Chelsea. So will the deal happen now?